Back in April, as part of my Style Month project, I shared several months worth of empties–the products I’ve used to the last drop. I remain pleasantly fascinated with empties videos or posts from other writers and of course, I’ve been on a bit of a kick when it comes to thinking and writing about consumption myself. So obviously as soon as I had hit publish on my last post, I began stockpiling items as I used them up for an update. Six months later, it’s time for an update! I’ve bought very few new products in the last half year and so have been able to use up quite a few things to learn more about what I like, what I hate, what I swear by, and what I think is just not worth the money. Oh god, what kind of monster am I?! Skincare first! There were quite a few repeats in here as this is my second bottle of Sunday Riley Good Genes, at least my bottle third Kiehl’s Midnight Recovery Concentrate, my second Clinique All About Eyes Rich eye cream, and third Kate Somerville ExfoliKate scrub. All of these are beloved favorites, but I’ve made a commitment to use up much more of my own beauty stash before I allow myself to repurchase any of these items (particularly as they aren’t exactly cheap). You may be surprised to hear that I dislike a Glossier product, but their Super Pure formula is my least favorite of their three serums and I wouldn’t repurchase it. The Pestle & Mortar Superstar retinol oil was excellent, but I’m road testing a much cheaper version from The Ordinary which thus far I really like! Speaking of, I also finished off a bottle of hyaluronic acid serum from the The Ordinary displaced another Pestle & Mortar similar product as well. Quality doesn’t need to break the bank, kids! Another bottle of Glossier Milky Jelly cleanser down. I already had a bottle of this on stand by that I purchased over the summer, but I’m ridiculously lucky and got two free additional bottles from attending the Glossier pop up earlier this summer, and then scored another back up as the G-team apparently mailed out some gift boxes as follow up to that press event later in the summer. Because they are freaking brilliant at marketing. Long story short, I haven’t had to repurchase this in a while, but I fully intend to when my stash runs down again. It’s a really good product, perfect as a morning cleanser or a second cleanse in the evening (if I’ve been wearing a full face of makeup and SPF all day). My evening cleanser for months has been the Oskia Renaissance Cleansing gel–a gel/balm formula that turns to oil on your skin. It dissolves most makeup and doesn’t strip your skin in the slightest. The Kiehl’s cleanser has been included in this stash for the sake of honesty. Technically it was Jeff’s product but I made liberal use of it in the shower and contributed to its demise–so into the bag it went! I’ve used up two masks, the Aesop Parsley Seed mask and Moisturizing Moon mask. I may repurchase them someday, but I want to try some similar products from other brands first…once my current mask stash is depleted. I definitely would not repurchase the Tidal cream by Sunday Riley–odd smell, nothing special as a moisturizer, and sparkly flecks in it to boot. Hair continues to be my personal Waterloo, but here are some of the mane-taming products I used up recently, along with a couple of shower bits. I’m not precious about my bathing and use Jeff’s razors and bodywash without shame. In fact, I’m positive I missed at least two bottles of bodywash that rightly should have been included in this confessional but recycled them first. Oops. My eczema continues to wreak havoc on my scalp, hence the two different medicated shampoos (also probably not an honest reckoning), but I did manage to make it through two bottles of conditioner. A powder style dry shampoo and leave-in conditioner round off the pack. The powder smells wonderful but I would not repurchase as I’ve found a much better spray formula. All the other items, however, are pretty much my standard shower rotation and their replacements are in situ. While we’re being honest, that comment about stealing Jeff’s face wash? Same for deodorant. I just don’t see the point of the pinker, lady-friendly stuff when he has a perfectly good can of product sitting on our dresser that I can swipe. The Certain Dri roll on, however, is definitely mine. Also in the spirit of full disclosure, this stuff is fantastic and when I use it regularly/properly, it’s a miracle product. I tend to pick up a bottle whenever we go back to the States. I also used up a No 7 make up brush cleanser from Boots (great product!) and a bath oil from Sanctuary Spa. I take a bath almost every night, especially in cold weather and prefer oils to bubbles…even if it means I have to scrub the tub more regularly. It’s a small price to pay for zen. Finally, some make up! Er, kinda? It takes me quite a while to get through make up products, though you may remember my recent discovery of the MakeUp Rehab reddit community which has inspired a number of “use it up” personal challenges for me. If I do another post like this six months from now, I’m hoping to have a few empty makeup tins and pans to add to the pile. This time at least, I made it through yet another tube of Maybeline Full ‘N Soft mascara–my go to for years. Glossier Boy Brow did good service in the beauty wars and its replacement is already in rotation. I loved this hand cream from Elizabeth Arden and will definitely be buying a full sized tube once my seemingly infinite amounts of other travel sized lotions have served their time. Finally, I used up a bottle of Hermes Jardin sur la Nil perfume which I loved but am happy to part with as friends after a four year run. Your turn, kittens, if you feel up to oversharing in the comments. Do you keep track of items that you use up–if so, what and why? Is my fascination with personal consumption at all interesting or just weird? Let me know your thoughts, I’m braced for impact! When our friends were in town the other week it was an amazing chance to catch up. One half of the pair, Chris, and I have been friends since freshmen year of university. In fact he, Jeff, and I were all in an assigned cohort for freshmen students and it’s kind of funny to think about how life has turned out for us in the past 12 years. I absolutely adore his wife, who I’ve known almost as long, and having the ability to see friends from the States is such a rare pleasure for us. In talking all things work, life, and adulthood related we got on the the subject of upgrading. They live in California and bought a house there. Since then they’ve been working on all kinds of DIY projects to improve their home and add value to it, and seem to be enjoying the process. But in spite of being able to do these improvements on a tight budget and by themselves, we quickly found we were dealing with a similar issue even though we live in a rented apartment. The famous saying is mo’ money, mo’ problems. Add mo’ space, mo’ spending to the mix. We started comparing notes on how that as soon as we’d either moved into a house or a larger apartment, we found our “stuff” multiplying. Closets full of items they rarely used on their end, furniture we’ve never previously owned on ours. More empty space that we feel compelled to fill for us, a garage for them to store stuff, which means they’re holding on to things that they’ve never accumulated before. Chris told me of a piece of motorcycle equipment that he doesn’t use anymore, but is loathe to give away or even sell because 1) it cost him a pretty penny to get in the first place and, 2) what if he needs it again in the future? We now have a second bedroom (currently being used primarily as storage) which is where, if an item doesn’t really have a home yet, there it goes! A quick, sheepish scan of the contents this morning revealed a number of older cords and electronics I should probably recycle and a bag of linens and stuff that I’ve been meaning to drop off for donation since we moved in. Oops. Having space clearly does something to our mental relationship with stuff! In our old flat, we didn’t have room for much…and so we didn’t have much. When we moved to a twice as large apartment in October, we suddenly had twice the space to fill. Plus we gave up landlord-provided furniture as part of a negotiation for lower rent and so had to buy furniture for the first time since living in London. Our old apartment barely held a loveseat, but suddenly we needed a sofa to fill a living room. In our old apartment, that loveseat and a desk chair were the only places we had to sit down in, in our new apartment we had a breakfast bar but we now needed stools to sit at it. We have two bathrooms and so needed two bathmats. We have more than one cupboard now and have somehow acquired a mug collection. Oops again. Like water, people, their money habits, and their stuff seem to expand to fit their containers. Ours certainly have. When we have made more money, we have historically spent more money…even after living quite comfortably on less! Before moving to a larger apartment, our expenses didn’t necessarily change, but we found our habits did. Both we and the handful of friends I have unscientifically surveyed for this post have also found their ability to accumulate and retain stuff grow significantly due to moving into a house for the first time, a bigger apartment, or a first home all to one’s self after leaving the sharing economy that is living with roommates. Call it the curse of comfort! Part of the reason I don’t want a big house anymore is because I don’t want to have to pay to outfit it, keep up a yard, and take care of the whole thing. I’d rather have a much smaller home with fewer, nicer things, and spend my money on other priorities. On the other hand, I do think there is a correlation between generally being in a position to make more money, and it having more places to go. If you are working full time, you are likely to be an adult with either rent or mortgage to pay. If you’re living in certain areas, you are more likely to require a car. Past a certain age you are statistically more likely to have a partner or children, leading to different kinds of costs. Life gets more expensive the longer it goes on. Have you found this same correlation between space and stuff? Those of you who have up- or downgraded at some point in your lives, I’m doubly curious to hear from you. We’re in the new place, we’re largely up and running but for the key element of internet not being set up. I type this tethered to one of our phone’s wifi, which is a band aid over a bullet hole as far as communications goes, but is survivable. Proper updates on the care and keeping of a new apartment coming soon. In the meantime, here’s a short rundown of things that captured my attention this month. 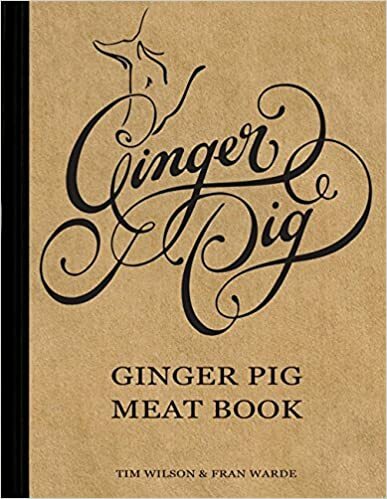 Ginger Pig Meat Book, by Tim Wilson and Frand Warde. I discovered this in the kitchen of the house we stayed in whilst in Devon and read it voraciously until we left. More than a cookbook, it starts by detailing the types of animals that The Ginger Pig (a famous butcher with a stall in Borough Market) farm rears and why. It details how the stock are reared, bred, butchered, and how different cuts of meat are best used. It also goes into the attempts of the owners to prioritize and reestablish British breeds whose bloodlines have largely been replaced by industrial style farming and the breeds that this sort of production favors. It’s not book for vegetarians, but it is a love letter to anyone who cares about good meat, ethically reared and harvested, and offered with care. I’ll definitely purchasing my own copy once the horrendous amount we had to put on the credit card to buy a sofa is paid off. 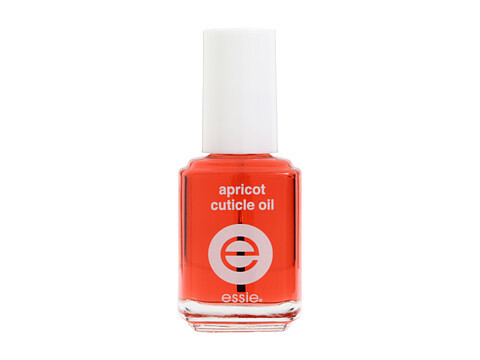 Essie Apricot Cuticle Oil. A former nail biter and still occasional nail picker, I’ve dealt with hangnails my whole life. And yet, even as a woman who paints her nails almost as ritual once a week, I’ve been incredible slow up the uptake of cuticle care. I have reformed, thanks to this stuff. 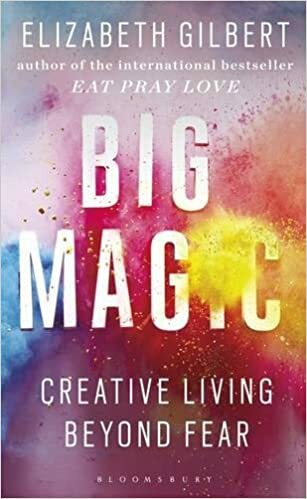 Big Magic: Creative Living Beyond Fear, by Elizabeth Gilbert. I wasn’t sure what I’d think going into this book, as I enjoyed whole chunks of Eat, Pray, Love while feeling that the overall book came off feeling enormously privileged and a bit over the top. I also don’t tend to love books that fall under “self help” with only rare exceptions. But the buzz around this book was enough for me to grab it in audio form and I ended up enjoying it tremendously. Parts personal anecdotes that didn’t feel preachy, part sensible advice around prioritizing and supporting creativity, it ended up being both an enjoyable and motivating listen. Furniture shopping. Who knew I’d get into this? I still have no idea what we’re doing but slowly and surely a picture is forming for our new apartment. Even more slowly but surely, we’re figuring out how to make it happen in a way that doesn’t break the bank. Though the experience does have me hoping that my dad decides to hold onto his prized collection of middle eastern carpets for my siblings and my collective inheritance. Rugs are hilariously expensive, people! Travel. At least one post on our trip to Devon will be up next week…subject to the internet gods smiling on us. Suffice it to say for now that getting out of the city and to the sea was exactly what we needed.